Stuart High School was defeated during Homecoming play Friday night by Coalgate 31-30. 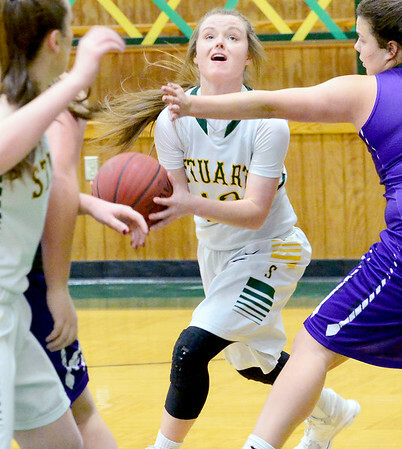 The Lady Hornets was leading 30-29 but fouled a Coalgate shooter attempting a desporation 3 point shot as the buzzer sounded. Coalgate missed the first shot but hit the remaining two attempts from the free throw line to get the victory. Pictured is Cecily Crawford as she drives into the paint to attempt a shot Friday night.